Long Life Time saves a Maintenance cost. High Resistance to wear due to the high SiC content (9.7 on Mohs hardness). High Corrosion Resistance Excellent Chemical Resistance over the alkaline to acidic range. Waste incineration plants and other highly abrasive or abrasive-corrosive operating conditions. 1. Back Pull Out Form. 1. Specially designed seal construction for Slurry (Static seal). 2. No flushing can be possible. 3. 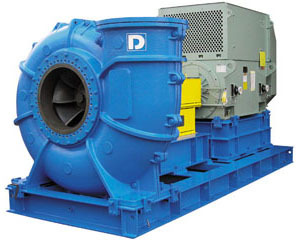 Impeller Clearance adjustment can be possible from out side of pump without disassembling. 4. 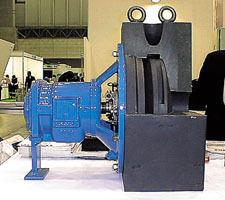 In addition, a special mechanical seal may be installed on request. Roller/Ball bearing (Oil bath system).